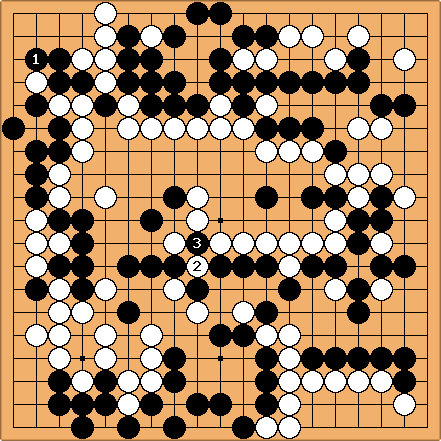 In this game, Cho Chikun recaptured the ko immediately, which is an illegal move that usually would result in a forfeit. However, because he had asked the scorekeeper whether it was his turn to take the ko and was told it was, the result was recorded as void instead of forfeit. Ko recapture forfeits are rare, but there are several examples in the history of professional Go.